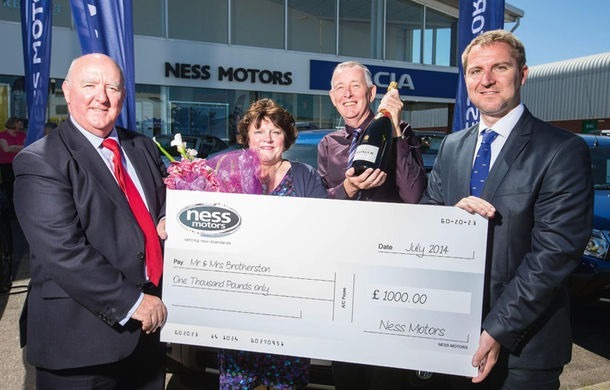 At 18 months after the launch of the Dacia brand in the UK market, the best dealer of the brand, Ness Motors (Inverness, Scotland) has sold the 1000th unit. The buyers are a Scottish family that with the new purchase will have three Dacia cars: a Duster and a two Sandero Stepway. Linda and John Brotherston drive the Duster and the Sandero, while their daughter will get the new acquisition, a Sandero Stepway. To celebrate achieving the 1000th Dacia car sold in the UK, Ness Motors – dealer which has three shops in Scotland – will sell a special edition of Duster. 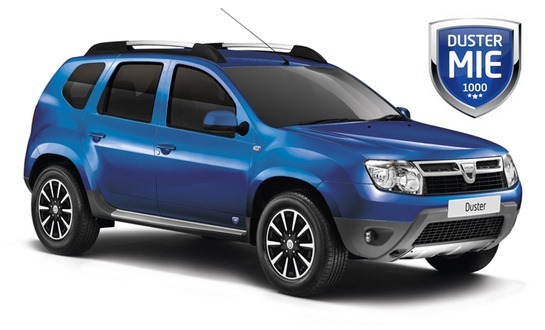 Officially named Dacia Duster MIE, the model is based on pre-facelift version of Duster, the one that still sells in the UK. The Duster MIE version comes with all available elements on the facelift version of the Duster: the MediaNAV navigation with 7 inch touchscreen and integrated Bluetooth, special 16-inch wheels in two colors, gray leather covered seats, rear tinted windows, parking sensors, logos painted in body color and a new special paint color called Caspian Blue. There will be only 20 copies of Dacia Duster Mie sold in the UK and all will be available at the Ness Motors dealerships. If Dacia sold 25,000 cars in UK in 18 months, the best external markets for Dacia remain France (93,800 cars sold in 2013), Germany (47,100 units sold in 2013) and Algeria (37,300 units sold in 2013).